You'll be £11.99 closer to your next £10.00 credit when you purchase Disaster in the Far East 1940-1942. What's this? 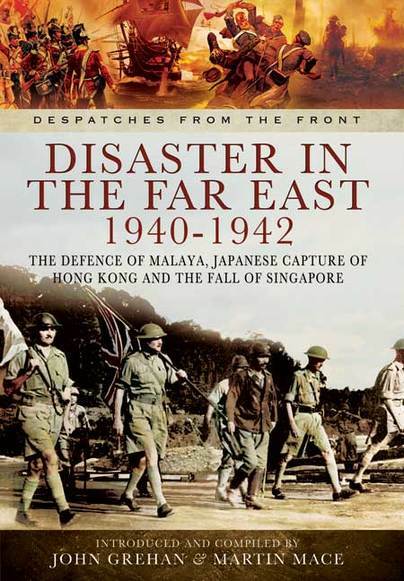 Despatches in this volume include reports from the Far East between October 1940 and December 1941, by Air Chief Marshal Sir Robert Brooke-Popham; the despatch on operations in Hong Kong between 8 and 25 December 1941, by Major-General C.M. Maltby, General Officer Commanding British Troops in China; the report on the air operations during the campaigns in Malaya and Netherland East Indies between December 1941 and March 1942; and the important despatch by Percival detailing the fall of Malaya and Fortress Singapore. This unique collection of original documents will prove to be an invaluable resource for historians, students and all those interested in what was one of the most significant periods in British military history. Once again the 'Despatches from the Front' series has delivered an important collection of despatches that has been introduced and sensitively edited. There is the usual crisp illustration for which the series is known. The despatches show what senior commanders were seeing and thinking and as a collection of primary sources, this book will be invaluable as a reference work for enthusiasts, researchers and those who just want to side step the middlemen historians. A very illuminating book on a much under-covered subject. Highly recommended. ... The despatches in this book show how much was a surprise and how much was anticipated. Inevitably the collapse of defence in Malaya, Singapore and in the Netherlands East Indies was an enormous shock. This is a story that needs to be told and understood and these despatches go a long way to setting out the realities of what happened.